Create a unified environment to highlight specific event hosted organizations. Environment needed to be conducive for organizations to introduce themselves in a closer and more intimate way. None of the organizations display materials where used. Each environment was uniquely designed to fit within the master plan for the venue. 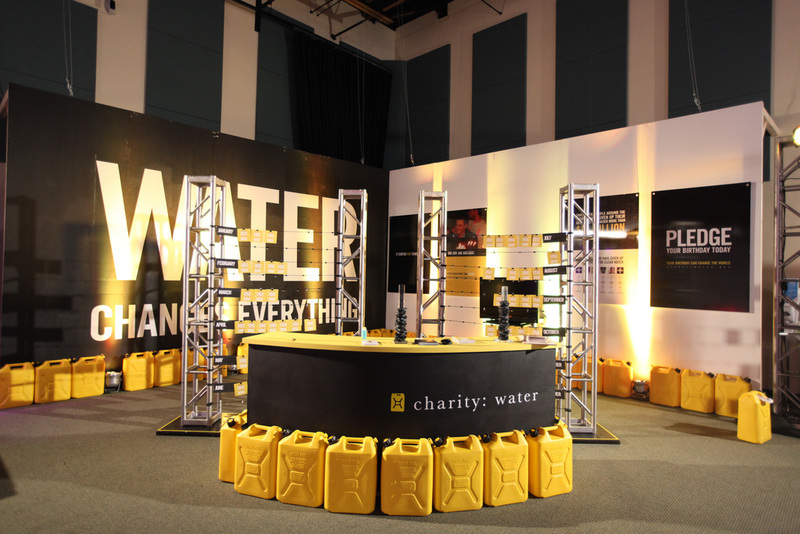 The Impact Center project was concieved to introduce visitors to organizations that are actively changing the world. This project involved complete oversight of concept, design/build and administrative managment of lead creative team. Creative representative for ONE Conference/Impact Center. Creative contact for all organizations represented. Budgeting, supplier negotiations, staff team and volunteer team management, project management, venue planning. Impact Center volunteer direction and scope of responisiilites. Scheduling and project direction for team members. Responisblie for materials warehouse and work site. Creative Director, Conference branding, Ideation, concept development. 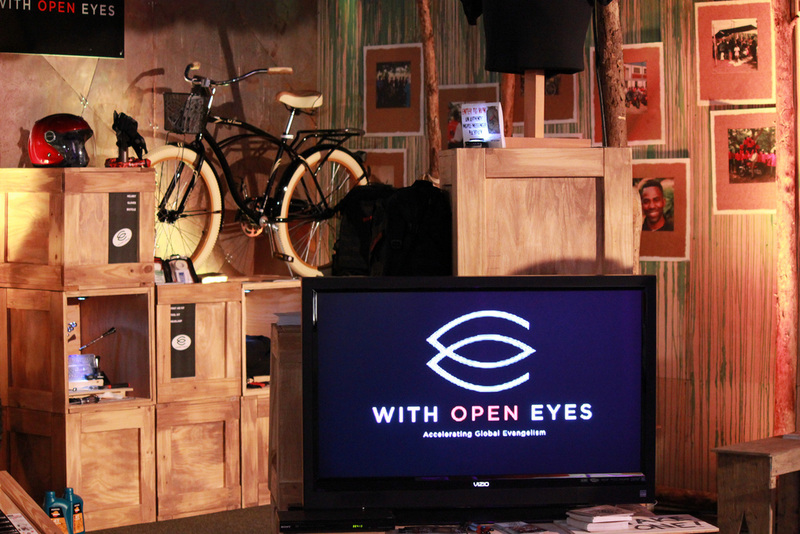 Creative presentation to host organizations. Floor space/environmental design, design/produce all collateral materials for conference, UI design of mobile app with mobile payment system, retail space design. Video and motion graphics, environmental audio, apparel design. Illustration, painting and photography oversight. 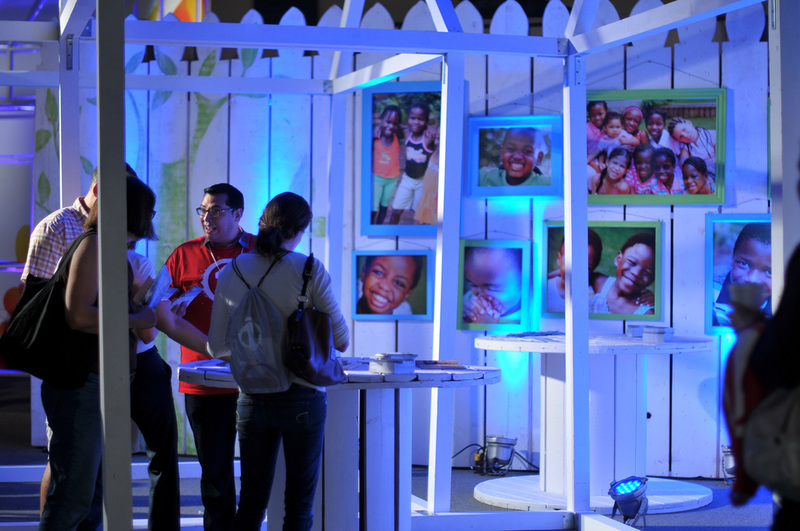 Designed 7 different environments for the hosted organizations to accomodate over 5000 visitors. Negotiate logistics, plan pickups and deliveries of all finallized materials, recieve product at venue, oversee setup/construction of environments prior to event. Led onsite construction of creatives, IT, lighting and setup crews. Onsite direction during event. Led breakdown and logistics crew. Project span: 6 months. Delivered on time and within budget. Exceeded all expectations of hosted organizations. Created a very high energy, fun environment in which to present very serious world issues. DETAIL: Environment concept & design for The A21 Campaign- design/build project. 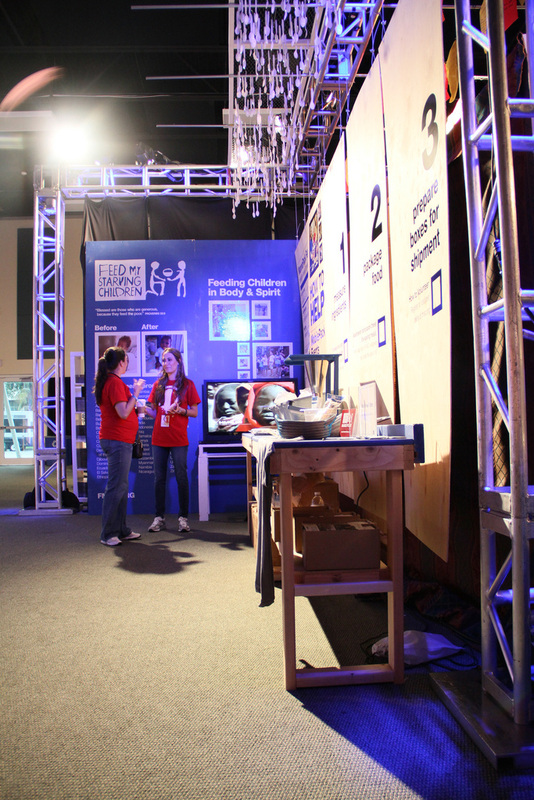 Create museum walk-through experience explaining the tragedy of human trafficking. This experience led the viewer through three shipping containers to an interior space where they could ask how to get involved. Concept & design of all ONE Conference materials. Environment concept & design for Feed My Starving Children - design/build project. Enviroment designed to showcase exactly how food ingredients are packaged and shipped. ONE Conference logo structure. Impact:Center floor center piece - Design/Build 18' structure. Wood, graphics and digital lighting. DETAIL: Environment concept & design for retail space within conference floor - design/build project. Space planning, designed graphics, signage, apparel and other misc items. DETAIL: Environment concept & design for With Open Eyes - design/build project. Space planning, structure design and construction. Environment concept & design for Forever Homes - design/build project. Design/build project. DETAIL: Environment concept & design for Forever Homes - design/build project. Design/build project. Environment concept & design for Gospel for Asia - design/build project. Design/build project. A21 Container experience in the background. SHOWN: Entry into conference. Over 5000 in attendance.